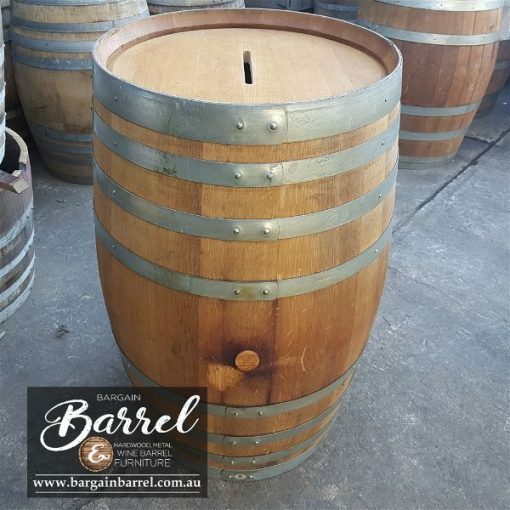 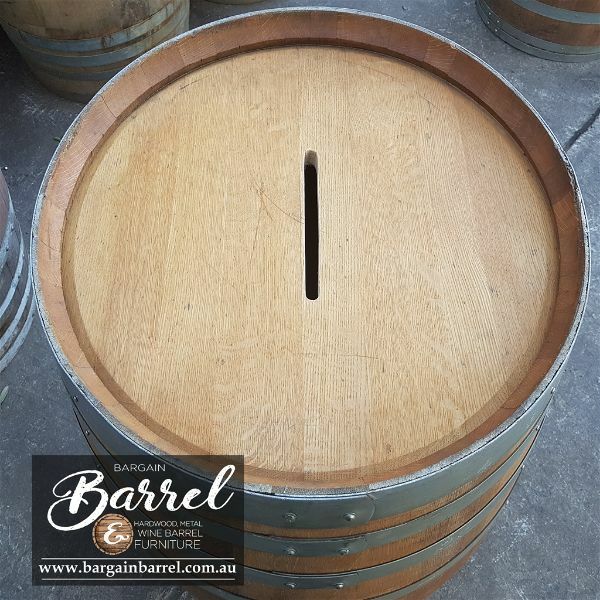 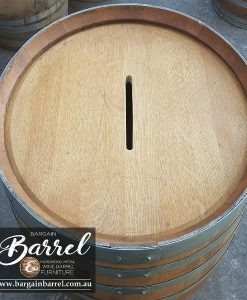 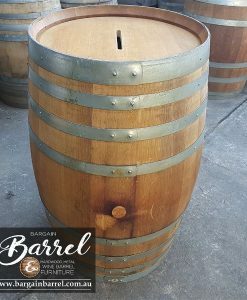 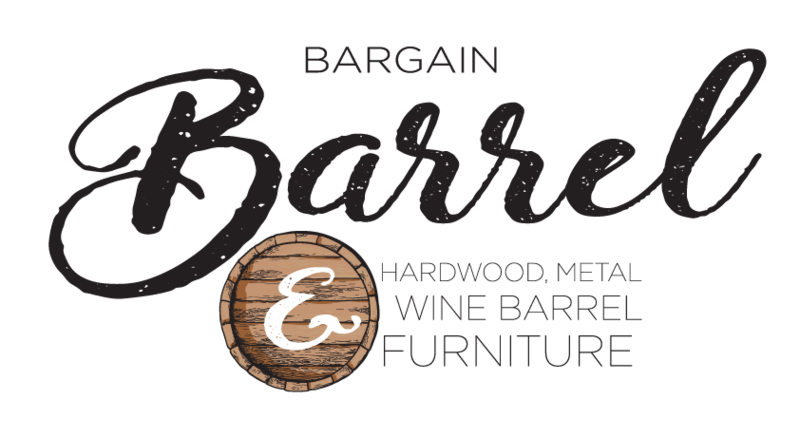 Our Raffle Barrel is perfect for the collection of raffle tickets. 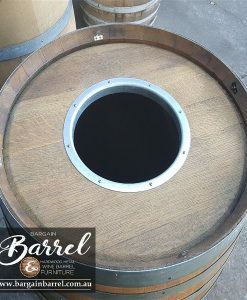 At the top of the barrel is a neatly cut envelope hole to secure the tickets inside the barrel. 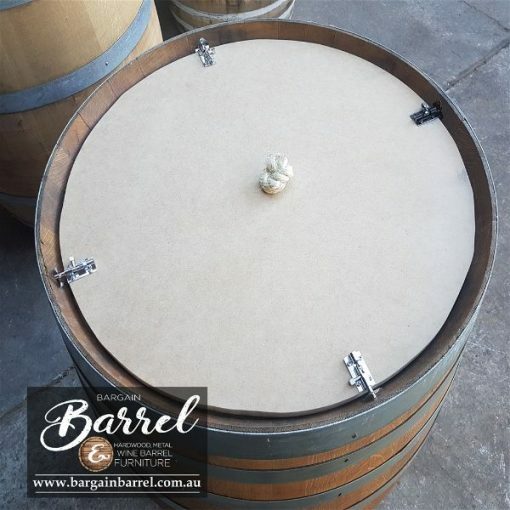 Underneath the barrel is a secured opening with a flat base and multiple L sharp bolts to allow access. All bands are tightly screwed to the barrel with stainless steel screws to maintain its integrity. 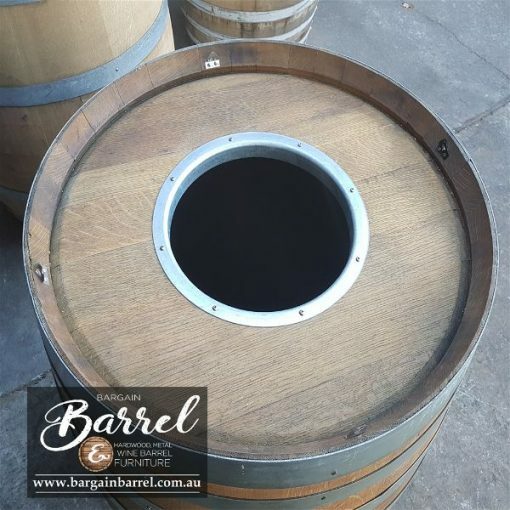 Our Raffle Barrel looks great finished in natural decking oil. 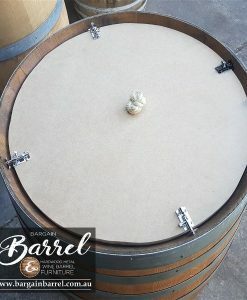 This item is made to order and takes about 1 day.